Lately, I have been reading about this debate that is raging in the birding community. It used to be that the hobby of birding involved a lot of watching and waiting. It takes patience to be a birder, apparently. The popularity of smart phones and the inundation of technology into our daily lives is changing that, and some are not sure it is for the better. There are apps that can be downloaded to help identify birds (J and I use one called I-Bird Pro) that also play the bird calls for help in identification. These apps can be used, and abused, to lure birds into coming into view. One side argues that these apps are potentially damaging to wildlife. The National Park Service has banned use of bird calls in its parks, calling it an “intentional disturbance” to bird behavior and biology. It can lead the birds to become desensitized to the calls of others of their species, if they respond to it several times and don’t see another bird on the other end. We don’t always understand the true nature of the calls we are broadcasting, so it is possible it could off territorial birds or interfere with breeding. The birds leave nests unattended to come seek out the call, leaving the young exposed to predators. Federal biologists who were using the call to find spotted owls by listening for them to “whoo” back soon learned that those call-backs would draw attacks on those owls by the more-aggressive barred owls, so the biologists scaled back on this practice in the best interest of the birds. The other side argues that drawing the birds out is actually less stressful for the birds than tromping through their habitat, disturbing their areas for longer time periods than the short time it takes to play the call. There is no specific data to demonstrate that there is an actual effect on the wildlife, especially when the calls are played correctly (short durations and only when necessary). Experienced hunters and birders have been mimicking animal calls for generations to lure animals to them with no real negative consequences. Before these apps, field researchers relied on the use of cassette tapes to bring the animals out. Is it judicious to assume that everyone who uses these apps will use them irresponsibly, thereby affecting the animals in a negative way? Another way technology is being used to view wildlife differently is Wildlife Spotting Phone Apps. 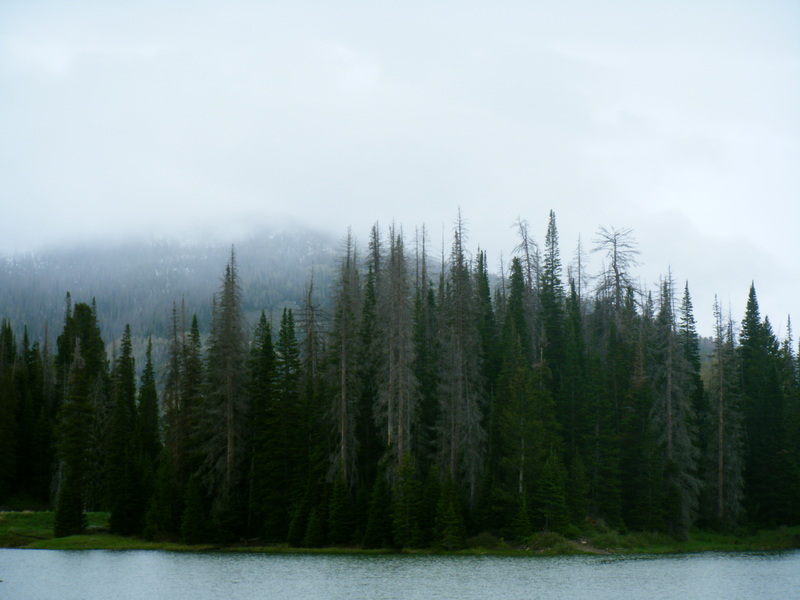 Apps such as Where’s a Bear and YNP Wildlife let visitors to Yellowstone National Park know where sightings are occurring, up to the minute. Therefore, visitors who are hungry for a bear sighting can find out where the bears are, and get over to that area of the park. If the animal is still in that area, a crowd could develop, which can be negative in terms of human and animal safety. 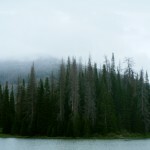 One potential side effect is that repeated exposure to humans desensitizes the bears to them, and potentially grizzly bears that have become desensitized to humans are more likely to attack them. I am on the fence about these apps. Having been to Yellowstone and seen NO bears or other exciting predators, I would have loved to have up to date information on where the animals were. However, I would hate to do something that is detrimental to wildlife. I’ve often contemplated the function of beauty. In my past musings, I have dreamed beauty away as inconsequential, a passing fancy, a temporary state that exists simply as a basis of initial attraction. I didn’t want to believe in the meaning of beauty, because to say that it has purpose, and then to admit that it has gone, is to say that the motivation fades as well. I want my love to be like Shakespeare envisioned, one whose strength does not diminish, though “rosy lips and cheeks within [Time’s] bending sickle’s compass come”. If love, and our motivation to both give and receive it, is based mostly on aesthetics, then it can’t stand the test of time. I had this friend who was an artist to some degree. He talked about the perfect girl as being someone who might not be exactly perfect, but who would be so beautiful that any of her imperfections could be forgiven. I am not sure if that is too tall of an order to fill. Our debate on this led to no agreed upon conclusions, and when our friendship took a walk, I wanted to continue to stand on my side of the fence about it. That was some years ago, and I was still convinced of my stance, up until the other night. I was running at night in my new neighborhood, something I have been doing regularly now, although not nearly enough to stop the midlife growth of girth. I looked up from the sidewalk and a sight caught my breath in my throat, and caused a feeling inside me. A want, a desire, an exultant joy, an imagined bliss. It was no mere mortal that turned my eye, but the sight of the water falling across the water from the fountain in the middle of a lake across the street, the little bridge that crossed into a neighborhood with landscape lights shining on well designed front yard gardens and smartly painted front doors. I have been getting to know that area in nighttime explorations, and I know that inside those streets, there is a little misty hill that has a strange path leading up to a sundial with uniquely carved stones in it. I love to go to this place, but I only allow myself the pleasure as a reward for working really hard on my tedious little two mile route around the house. Mostly because when I go out there, I lose track of time, and spend longer than I have on a weeknight wandering past the huge houses in the dark, houses with art delicately balanced on high vaulted walls that can be seen from tall windows from the street. And I know now, I know when I see this view of the lake and the bridge from this vantage point on my weekday route, I know the true function of beauty. And I see and hear examples to fit my new theory all over the place. And perhaps my friend was right, we can’t remove beauty from the equation. And sometimes she is the reason why we fight. Ask Helen of Troy, whose alleged beauty was the catalyst for wars and “launched a thousand ships”. 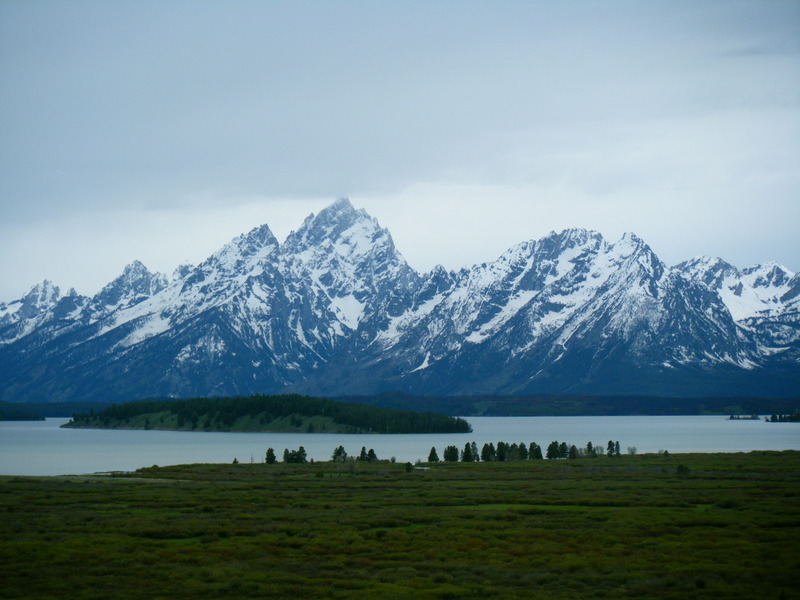 But the other day I was watching, for not the first time, Ken Burn’s “The National Parks: America’s Best Idea”, and it made me think of how compelling natural beauty is, and how much it drives our desire to protect it as well. 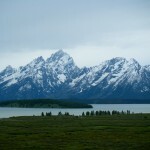 When we see a beautiful landscape stretched out in front of us, we are often overwhelmed with awe. The thought of some of these places disappearing under the wave of human and industrial expansion is frightening. There are many heroes I would like to highlight later who let this beauty, and the diversity inherent in it, be enough to drive them to continue to fight for them their whole lives. Beauty in our surroundings is much like beauty in a human form. It compels us to protect it, move to keep it around, and forgive its harshness and imperfections. 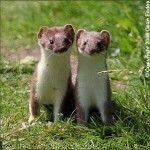 Stoats - Evil, but how cute are they? So, as I mentioned in the previous story, the kakapo parrot of New Zealand got into a little trouble as as species when predators were introduced to its formerly pristine environment. The kakapo had more than just the loss of ability to fly working against them, they also had three critical evolutionary habits that did not bode well for survival. For one, when danger would arrive, the birds would freeze, which may have helped them hide from the Maori people, but not from pouncing feral cats. Also, they emitted a rather sweet fragrance, something like a honey tinted floral smell, which may blend into the smells of the island to people, but makes them an easy target for predators such as dogs. Also, because in their evolutionary past, one of the only dangers they faced was from a giant (now extinct) eagle, they had developed a habit of building their nests and laying eggs on the ground, which made their young easy targets for the stoats. The kakapo were almost completely wiped out fairly quickly, and faced with growing public concern , the New Zealand government realized they were going to have to do something. They designated Resolution Island as a habitat, and appointed Richard Henry as chief curator and caretaker. Over the next six years, Henry would move scores of kakapo and kiwi, another flightless bird, over to Resolution Island, hoping they would be safe there. The stoats, however, after these six years, swam across the water and reached Resolution Island, and the fragile birds’ eggs. From there, the kakapo almost met its fate on the extinction map. Within six years, the stoats had effectively wiped out the population on Resolution Island. A few birds here and there had been ferreted away to other islands; some of which were populated with feral cats, unfortunately. 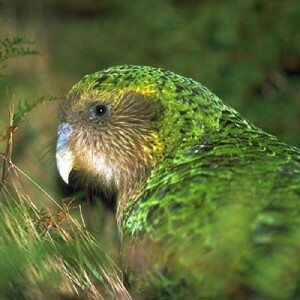 Reports of seeing kakapo in the wild dwindled. In the 1950s, the New Zealand Wildlife Service would go looking for them regularly, but eight years went by before even one was found. In 1961, a handful were found, but all the birds caught and brought into captivity would die off. I’ll tell the rest of their survival story later. 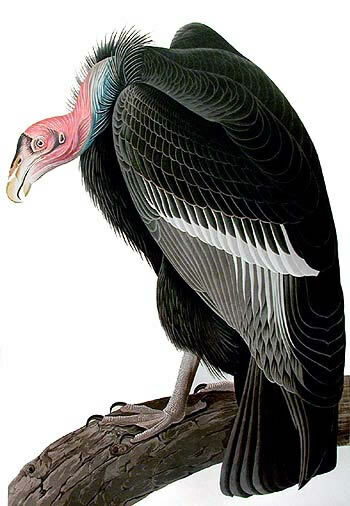 When I first heard the story of this bird, the details were not as interesting to me as the main idea – the idea that sometimes life comes at you fast, and without means to adapt quickly, we fail to thrive. As I learn more about the bird, though, it is the little details that fascinate me. There is so much more to this story I want to tell you, so you will just have to stick around for the next installment.